It got pretty cold here last night but I don't think enough to kill anything but tender plants, we shall see. 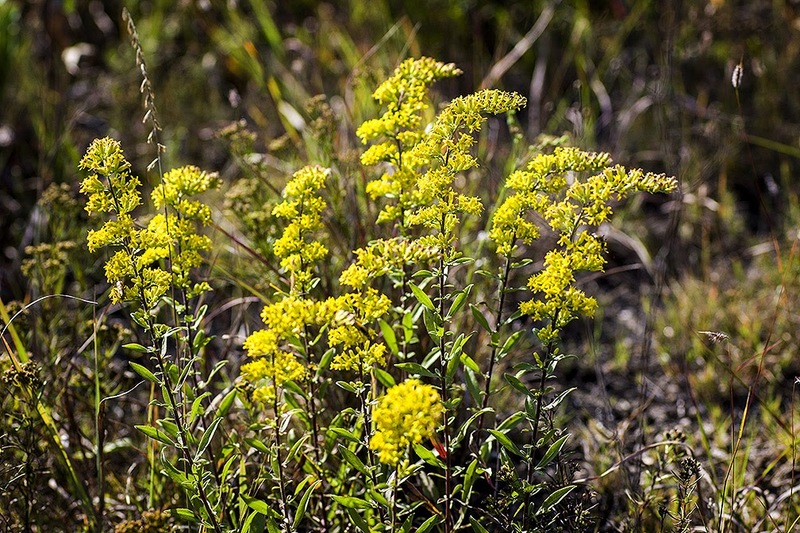 Since late summer and now into early autumn, the Goldenrod has been in bloom. There are several different varieties in Kansas and this one is Prairie Goldenrod. I find it interesting how the colors change in the wildflowers as the year progresses, autumn ones are mostly yellows and purples. Due to that I was able to update those 2 pages of my Blog of the Wildflowers in Kansas. They can be a help to identify what you are seeing so hope you will check them out. They are linked at the top of the page on computer and on a phone on Android off the home button at the top, sorry couldn't check IOS.